As I took my place on the right-hand side of the stage, very excited, camera in hand…. Down went the lights and in came keyboard player Michael Bluestein to get the crowd started, shortly followed by the band and the main man himself Kelly Hansen. The crowd were on their feet straight away as the band burst into ‘Double Vision’. The frontman had everyone singing and dancing and interacted right from the outset. Kelly has an excellent voice, more importantly, he’s a fabulous frontman! Asking whether there are any wild women in the house prior to ‘Dirty White Boys’ or his “feel the lurve” rap prior to the anthemic ‘I Want To Know What Love Is’, joined by a school choir the stage was full of singing energy. Now Kelly definitely had the crowd in the palm of his hand and the women screaming! He surprised fans about 3 songs into the show, by jumping from the stage and running into the stall seats with fans grabbing at him and cheering along with him. The atmosphere in there was electric! that they were joined on stage by a school choir during I wanna know what love is. Mr Versatile Thom Gimbel was amazing as he swapped his guitar for sax part way through and bashed out a strong solo during ‘Urgent’. It was like there was 4 of him as he switched to flute then keyboard and back to guitar. The energy from him was amazing, and you could tell he was loving it. Mick Jones walking out on stage for ‘Jukebox Hero’ was the icing on the cake for superfans. He is a legend and founder of this band 40 years ago, so to have him join the band and play guitar superbly was an unforgettable memory for all. Both Michael Bluestein and Chris Frazier were both amazing and had spotlight times of their own. Chris belting out a fantastic drum solo and Michael keeping all entertained with his talented wild keyboard playing. Along with Jeff Pilson on guitar who is very animated and full of energy running from one side of the stage to the other and Bruce Watson looking cool in shades and a fab crowd pleaser, the band worked excellently together. You would think this band with current members had been together since the start. 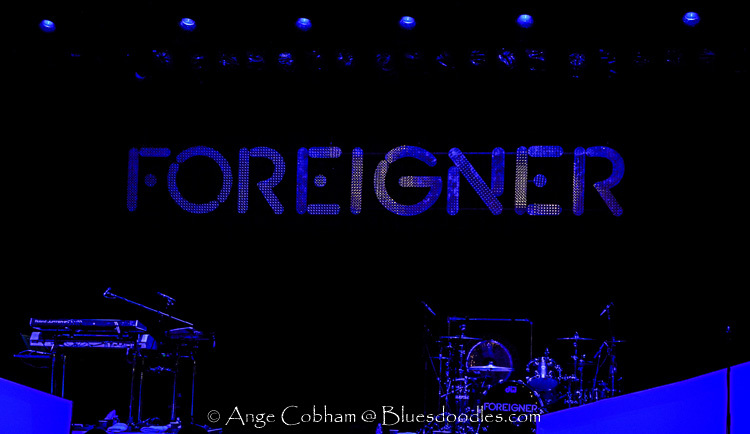 They certainly delivered with energy and panache and belted out all the old favourites to make this 40th year anniversary Foreigner delivered a spectacular show and not a single person who attended will forget.